Powerhouse Air Conditioning & Electrical are experts in Split System Air Conditioning and can offer advice on all aspects of split-system air conditioning. If you’re unsure about your specific needs, give us a call we’ll be able to recommend a set-up that suits you best along with a no-obligation, free quote. The installation process is usually a simple one with Powerhouse Air Conditioning & Electrical offering a complete end-to-end install solution without the need to involve other trades people. In most cases, our qualified and fully licenced team of installers and electricians can have your split-system in and operational within a day or so. Powerhouse Air Conditioning & Electrical recommends servicing your air conditioning every 12 to 18 months depending on usage. It is beneficial to clean and maintain during periods of light usage, usually the winter months. Talk to us, and we’ll be able to recommend a schedule based on your particular unit and usage. We also repair split-systems too. Powerhouse Air Conditioning & Electrical are proud to be an approved, licensed dealer for the sale, installation and servicing of Panasonic® air conditioning systems. 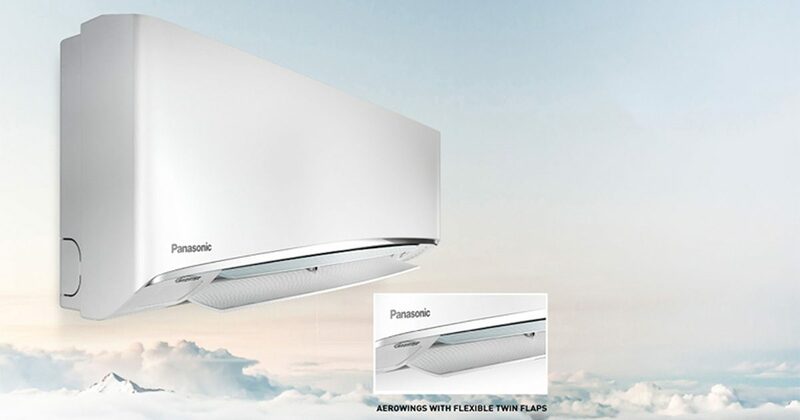 Leaders in domestic and light commercial air conditioning, Panasonic®’s range is stylish and durable, designed to withstand the rigours of our harsh environment and complement today’s modern home designs. Their energy-efficient inverter technology ensures efficient operation you’ll enjoy savings on your power bill as well as help the environment.